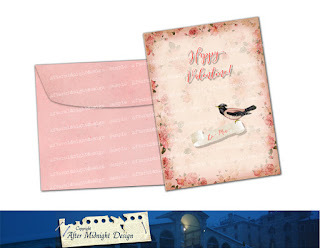 I¨ve just made a Valentine card with envelope that you can find in my shop. Maybe you isn't ready with your preparations yet? Maybe I have time to do something more as well!